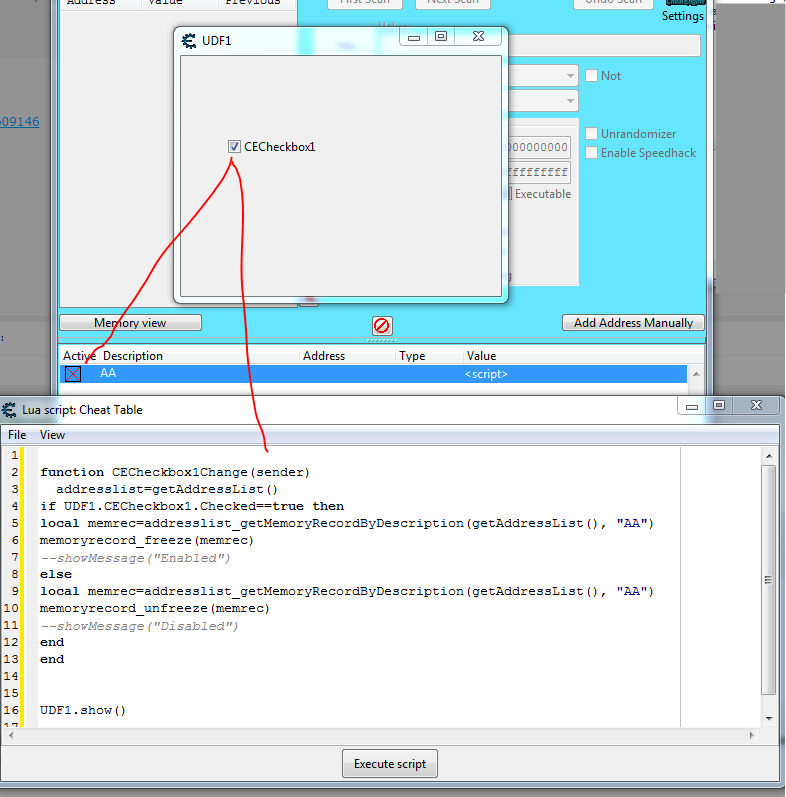 Cheat Engine :: View topic - how to check a scipt is freeze or unfreeze? how to check a scipt is freeze or unfreeze? Posted: Sat Feb 02, 2019 9:38 pm Post subject: how to check a scipt is freeze or unfreeze? when the scipt "AA" run false(unfreeze),the checkbox do not be active. 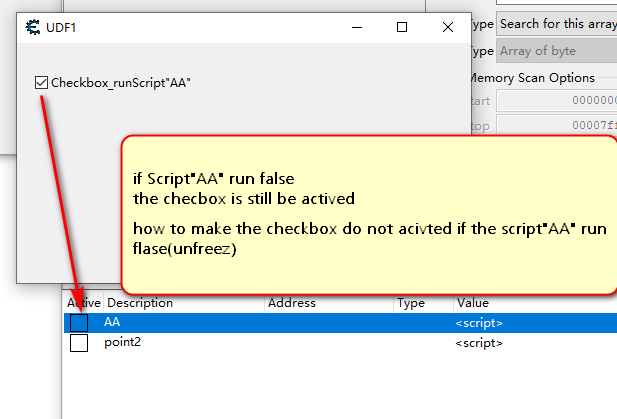 The Srcipt do not run success(still unfreeze in CE),but the checkbox is be actived and messenge is show as "Enable"
Posted: Sun Feb 03, 2019 12:20 am Post subject: Re: how to check a scipt is freeze or unfreeze? we run the code "memoryrecord_freeze(memrec) "
Posted: Sun Feb 03, 2019 1:27 am Post subject: Re: how to check a scipt is freeze or unfreeze?